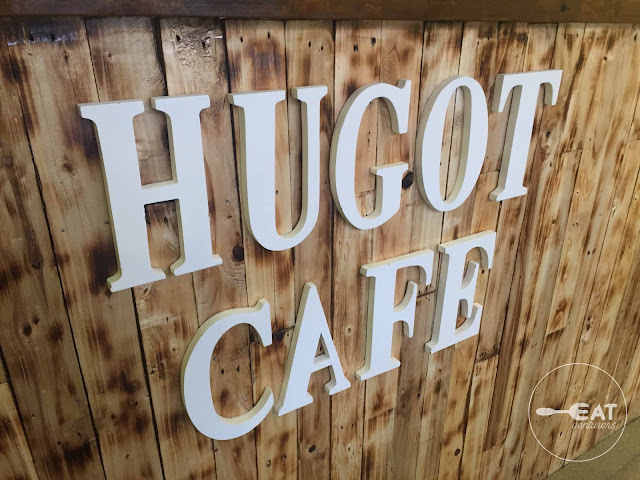 During the height of hugot lines in 2016, Hugot Cafes mushroomed within Metro Manila. 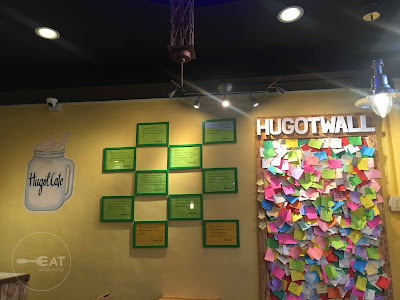 Hugot Cafe is a regular cafe that serves various drinks and American snacks, except it is hugot-themed. 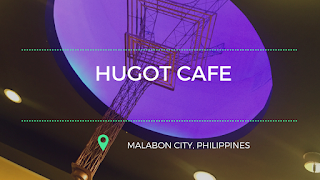 For our international readers, "hugot" is a Filipino word which means "pull out" or "to draw." It became a trend in 2016 when people dubbed heartbreaking lines as "hugot." 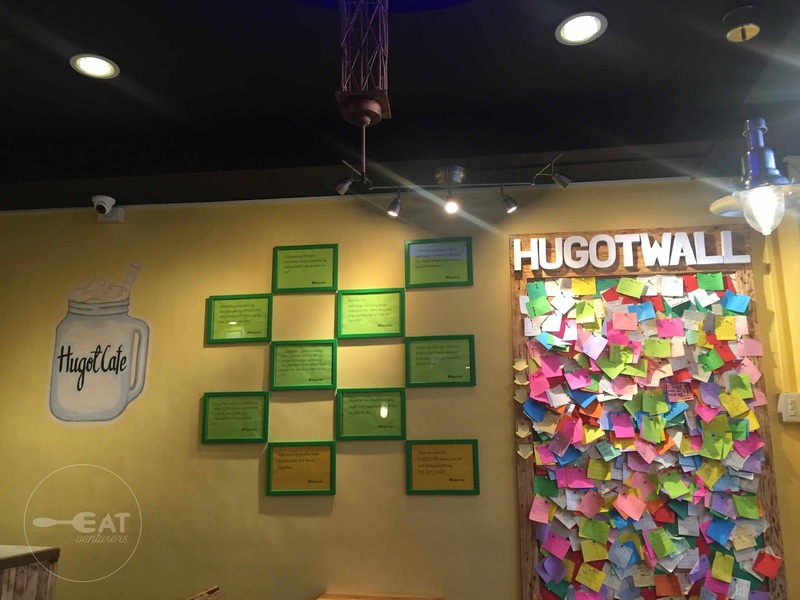 Entering the cafe, you would see a "hugot wall" with several emotional notes or cheesy lines from its customers. Hugot cafe's logo features an inverted Eiffel Tower, we assumed signify the famous: "Eiffel for you" pick-up line. Expect that the playlist is also good. 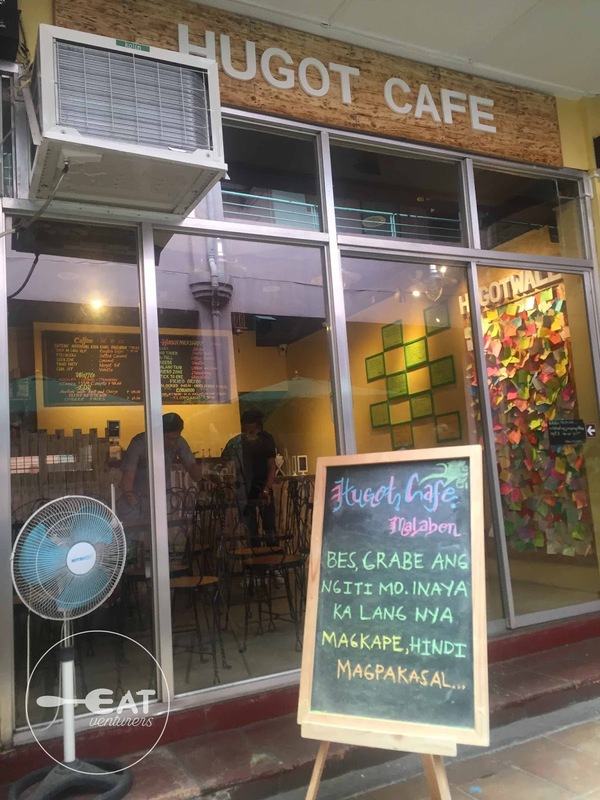 Even the cafe's menu follows the theme as the food and drinks are named after hugot lines. 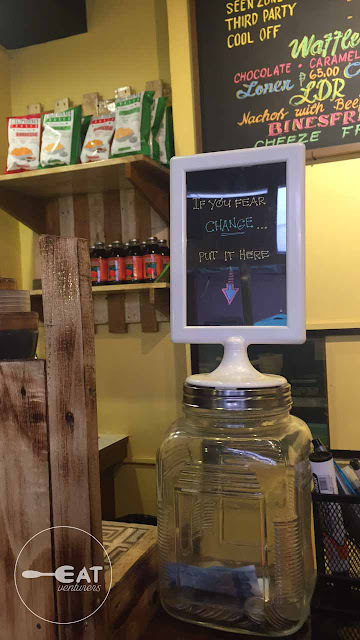 The cafe targets the millennials. 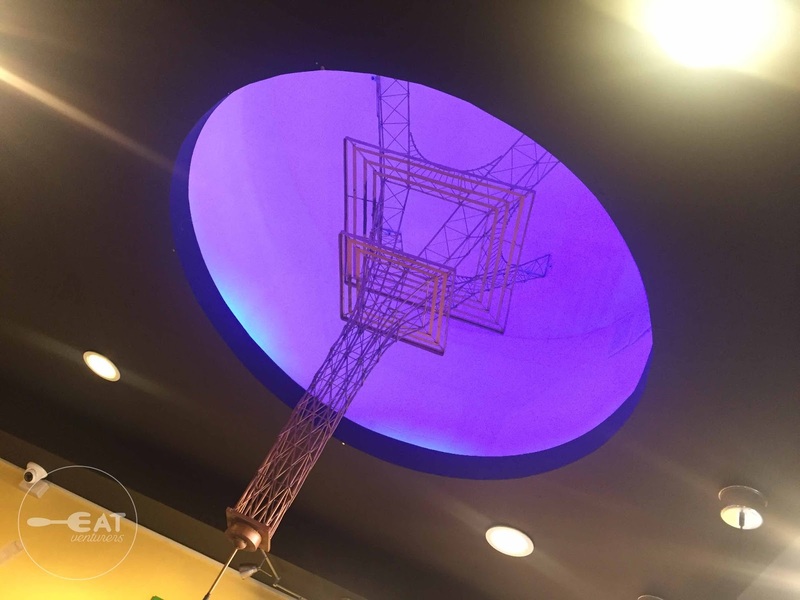 Its affordability is perfect for students and friends casually hanging-out. 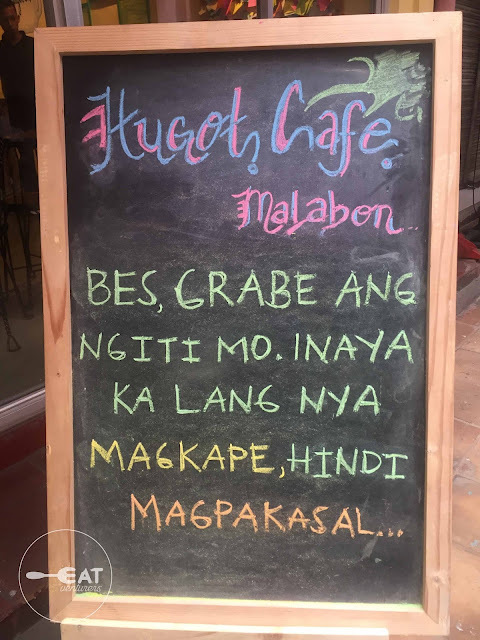 What's also unique about this hugot-themed cafe is that orders are served with hugot lines from the waiter--think spoken poetry, only, hugot lines are being recited. They also have an open-mic night for those who want to perform spoken poetry or sing. The Eatventurers ordered LDR or their Nachos with beef and cheese - P105; Paasa or their Mocha Milkshake - P115, and Stick to One or their Chocolate Milkshake - P115. 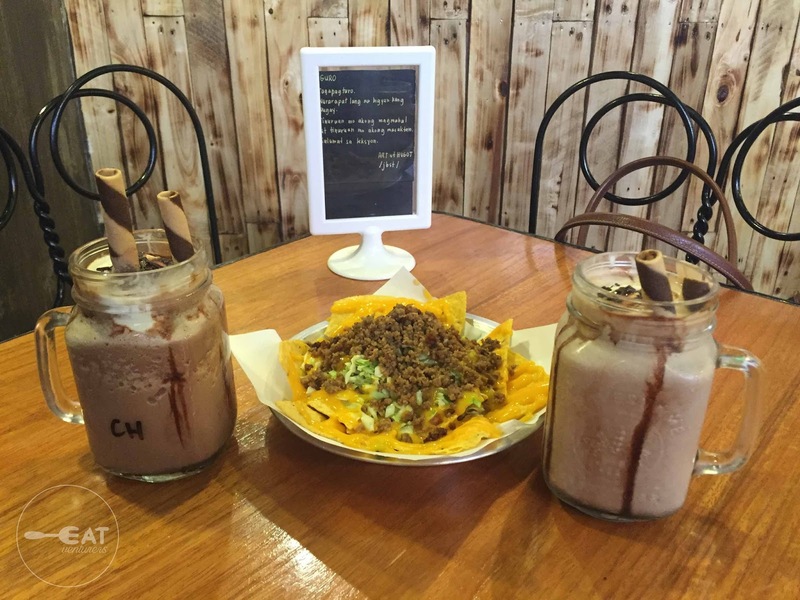 There is nothing special with their food since these are usual snacks, also served in other cafe. The food choices are also typical. The food tastes okay and given it's price, there is nothing we can ask from it as they taste good. 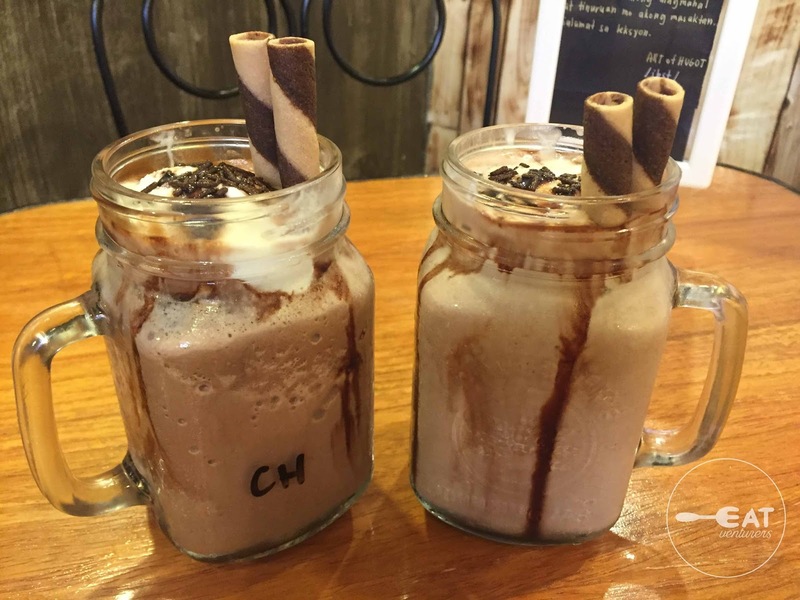 We recommend LDR for group of friends, as it is already good for sharing. 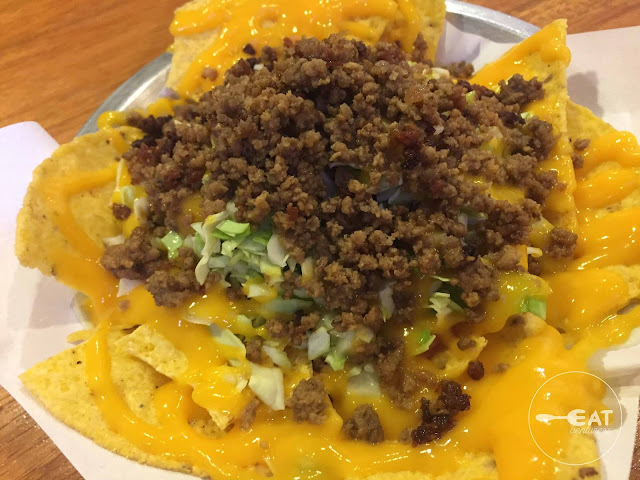 We did not expect much from it but we were surprised it is served with a generous amount of ground beef and cheese. 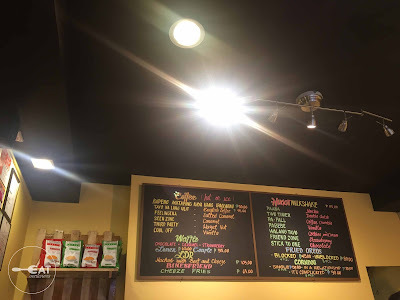 For the service, on the other hand, it was fast but they do not open on time even if customers are already waiting in line outside. We can say that for fun and good vibes, this place is worth trying out but it is not a cafe we would always come back for. 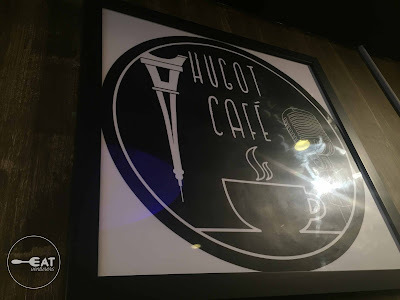 If you want to just chill during Valentine's Day, visit Hugot Cafe and give it a try. Bring your friend, bestfriend, jowa, or anyone as the place is for anyone. Operating Hours: 1:00 p.m. to 11:00 p.m.
wow... the owner must have gone a lot of hugot! hahaha.